Baldur's Gate: Enhanced Edition's expansion Siege Of Dragonspear out soon - goes on live stream! Baldur's Gate, one of the most loved cRPGs (computer role-playing game) of all times was released in 1998 (a few could compete against it even today, one of them that perhaps overcomes the game is it's successor: Baldur's Gate II). It was the flagship of newly born BioWare, who later on went to create Dragon Age and Mass Effect series, for instance. It was a few years ago, when Beamdog acquired rights to make Enhanced Editions for the both: Baldur's Gate the first, and Baldur's Gate II. 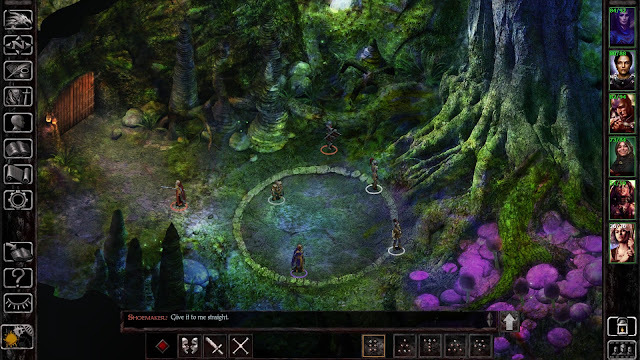 Enhanced Edition featured a new porting of the game being more friendly to the modern gaming systems, with some bug fixes, added new content, and minor improvements - true to the original games. They weren't changed much, at all. They listened their fans about the issues and suggestions, and did their best to please the gamers. The reception of Enhanced Editions was mostly positive. "Siege of Dragonspear" is the first real attempt by Beamdog to step into the "broader seas", as it's an actual expansion to the Baldur's Gate's (the original) Enhanced Edition; the version of the original Baldur's Gate which the team released just a few years back. The expansion actually started as a small project with a hour or two of gameplay content, but expanded massively later on, when Beamdog fully focused on it after releasing Baldur's Gate: Enhanced Edition, and decided to make something bigger out of it. So, how long does it take to finish Siege of Dragonspear? As explained on the Twitch live stream video below, the creators (Beamdog) promise over 25 hours of gameplay content for the expansion. Siege of Dragonspear won't be compatible with the original Baldur's Gate old version - you need the Enhanced Edition to run it. "We are Content Complete on Baldur's Gate: Siege of Dragonspear. From here on we find, fix and finish. The game will say when it is done"
A bit earlier Oster tweeted that the content is already complete. The game is held back due final testing phase. Beamdog has just recently released a live stream on Twitch, which for the time being can be currently watched at below. About one hour of gameplay material of Siege of Dragonspear for cRPG fanatics and Baldur's Gate fans to watch and enjoy!